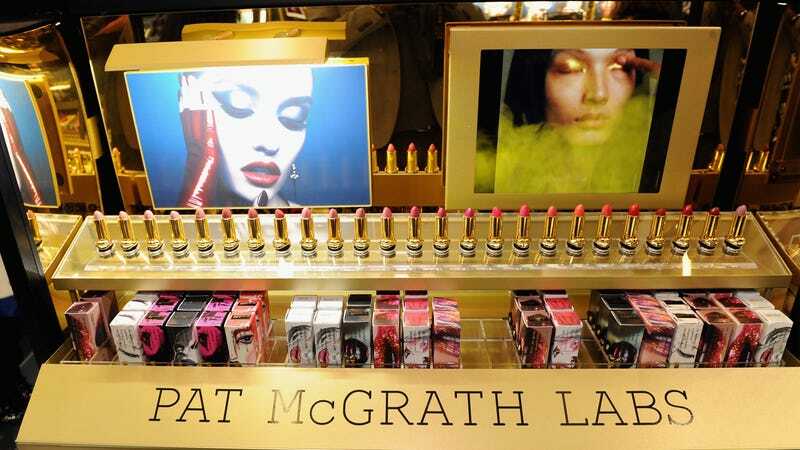 Products on display during the PAT McGRATH LABS Unlimited Edition Launch at Sephora Herald Square on October 12, 2017 in New York City. It has always been my dream to create an iconic beauty brand that goes beyond the usual limitations, that lives outside the parameters of what is expected. I am thrilled to be working with the unique and expert team at Eurazeo Brands. We are honored to be working with Pat, whose vision, talent and trailblazing history in the beauty industry have set Pat McGrath Labs up to be one of the most authentic and innovative makeup brands to ever come to market. We’re excited to combine our experience of building global beauty and fashion brands with Pat and her team’s unmatched creativity and passion. If you’re not familiar with McGrath’s cosmetics, here’s a run down: aside from being one of the world’s most in-demand makeup artists, McGrath — fondly known as “Mother” in the fashion industry — was the mastermind behind Armani’s beauty line. She was also formerly the global creative-design director of both Max Factor and Cover Girl before launching her own consistently coveted line in 2016 (her “Mothership” eyeshadow palettes fly off the shelves at Sephora). The next phase is to continue our incredible trajectory. ... We have been so blessed to have such an engaged and passionate customer base and the aim is to continue to provide them with more groundbreaking, straight-from-the-runway products and a makeup experience that they cannot get anywhere else. I get so much joy and satisfaction when I see how much our loyal customers love the products, it fuels us to come up with even more innovative creative ideas. We can’t wait for more out-of-this-world releases from the Mothership.